You are here: Home / #apileofashes / Self Serve Yogurt Bar, The lighter choice? 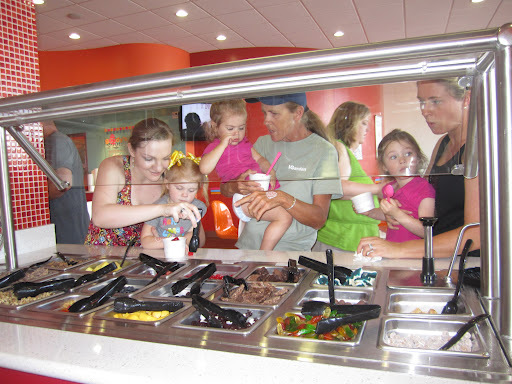 Self Serve Yogurt Bar, The lighter choice? Ever wonder if yogurt is the “lighter” option for dessert instead of ice cream? Well that all depends how you stack your cup. Emeals inspired me to share my love of all things yum. I highly enjoy these establishments. I even held my youngest’s 3rd birthday party at one last year. Can’t you tell she loves it too! So many options. All yummy, not all light. It is so hard to have control in this setting and too choose to stay on the lighter side of cup. 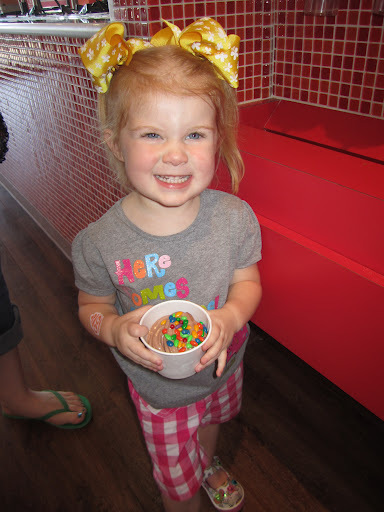 We able able to choose almost any topping that our heart desires. This can be a hard choice when trying to stay within a decent calorie range for our dessert. Now if you are like my husband, you simply don’t care. He piles on all the toppings he wants. 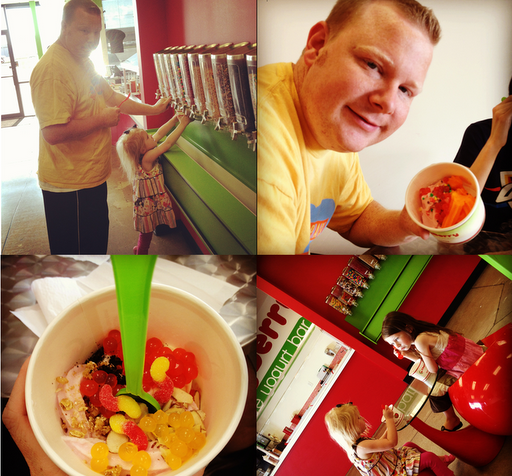 We went to Cherry Berry for father’s day. As you can see he loaded up the cup. But mine isn’t any better. The girls loved it. – USE THE SMALL CUP! Ha ha, okay I have no clue how many calories this is. But I would like to think that it is reasonable. I’m also not sure I want to know either. I enjoy the self serve frozen yogurt craze that is going around right now. But I also enjoy a little place in town that serves the old fashion custard called Jared’s. That love is for another post.